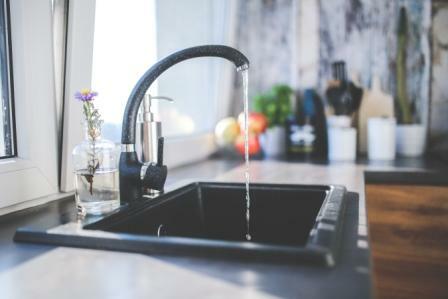 The aim of a water treatment plant is to make sure that water is safe and aesthetically pleasing to drink. Usually treatment plants collect water from nature (lake, river, reservoir, ground water etc.) and then remove different pollutants from it like harmful microorganisms (diseases causing bacteria, viruses, protozoan cysts etc. ), toxic chemicals (nitrate, lead, zinc, iron, arsenic etc.) as well as odour and color causing substances. To achieve this, collected water needs to go through a step by step process consisting of different unit treatment processes. The complexity and number of unit processes in a water treatment plant depends on source water quality as well as desired final product quality. Surface water is usually passed through a screen during collection to prevent larger objects such as leaves, floating logs or fish from entering the treatment plant. Sometime chlorine is added to this water as primary disinfectant to kill algae and other harmful microorganisms. In this step a coagulant, usually aluminum or iron salts (Alum, ferric chloride etc.) is added to source water. These chemicals make the particles in the water attached to each other. After coagulant is added water enters the flocculation basins where it gets thoroughly mixed. During this process the particles collide and stick with each other to form a larger flock or clumps of particles. At this stage flocculated water enters into a sedimentation basin where it is left undisturbed for few hours (2-4). During this period flock that has formed in the previous stage settle at the bottom of the basin. The clear water is collected from the top of the basin and sent to the next stage, filtration. Sometime flocculated water is sent to a Dissolved Air Floatation treatment tank. In the tank compressed air gets mixed with the water and tiny air bubbles float the flocks and organic clumps to the top of the tank. Those flocks at the top are then removed via a skimmer. In this stage the finer flocks and particles get removed. Filtration can be done with multiple Medias or multiple stages based on the desired quality of the final product. Once the water has been filtered, it is ready to be disinfected. Disinfection process makes the water safe for consumption by killing harmful disease-causing microorganisms in it. Disinfection can be done by adding chemicals (chlorine, chlorine dioxide, ozone, chloramines etc.) or by applying ultraviolet rays to the water. Treated water from the treatment plant then sent for distribution. Usually it is stored in an above ground raised storage tank via pump. From there water flows to different distribution and supply pipes to reach its final consumption point. Here is a tour of a drinking water treatment plant in Winnipeg, Canada. Go back to Clean Drinking Water! Go back to the home!